We had lots of fun with Pete the Cat this week! Take a look at what we did! 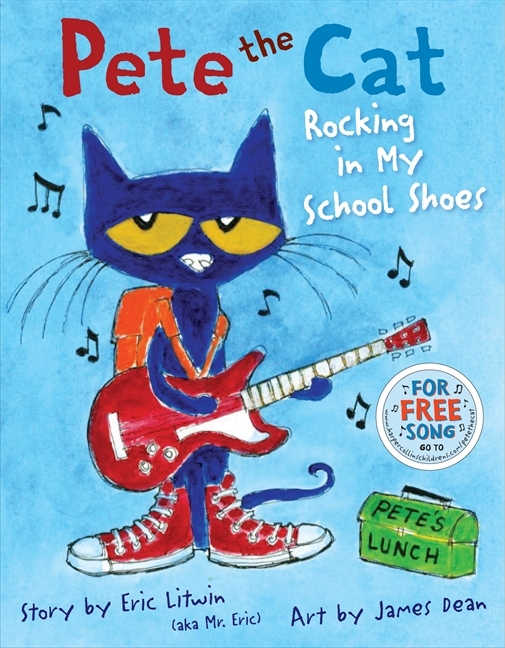 We read Pete the Cat Rocking in my School Shoes. Then we took at little tour with Pete.Then we used a venn diagram to compare the places Pete went in his school to the places we went in our school. We used the tour from Danielle Mastandrea's Blue Cat Craftivity Unit and added a few of our own pages. The Pete the Cats that we made came from Hooray for Kindergarten. You can download the pattern for free here.We used a round sponge paint brush that I purchased from Walmart to make the buttons. The brush came in a pack of different sized round brushes. We made all of the crayon marks before we did any gluing. My friends this year need a lot of practice with "dot, dot, not a lot". You can get the venn diagram words here. 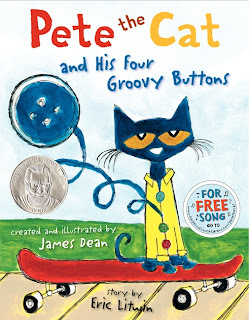 We read Pete the Cat and His Four Groovy Buttons and did a little counting of our own. This idea came from Golden Gang Kindergarten. 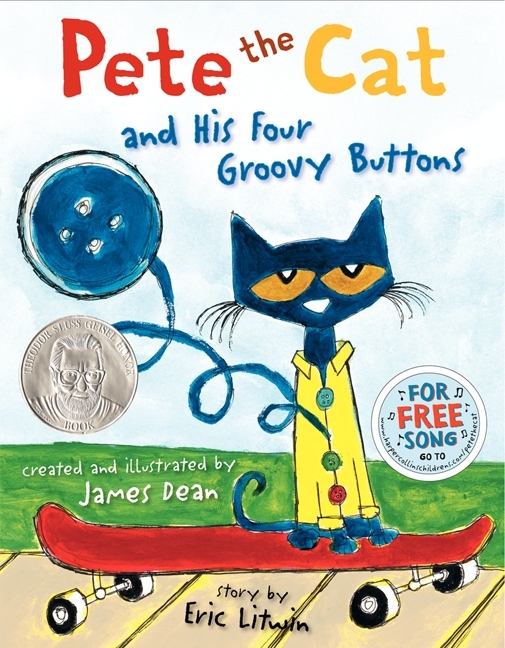 We sang the song Pete the Cat and His Four Groovy Buttons from the Harper Collins website and acted out the story. We continued to act out the story using the song from the website, but we added a number line to our reenactment. This idea also came from Golden Gang Kindergarten. Then we did it again, but this time we counted backwards. We had lots of fun dancing and singing. We drew sets of buttons, counted them, and labeled them with numbers. 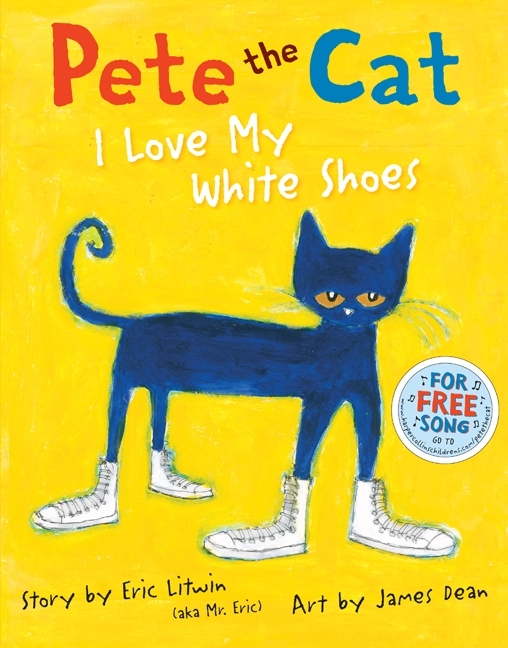 We read Pete the Cat I Love My White Shoes. Then we brainstormed all of the things we could do in our school shoes. The shoe craft came from the Bubbly Blond. We also played Deedee's ABC Memory and Match Game. You can find it on TPT here. I love Pete the Cat and it looks like your kids do too. Thanks for sharing how you achieved this fun. Love the idea of comparing places Pete went and where the children went with a venn. Looks like it was a fun week of learning in kindergarten with you!